We are a supplier and manufacturer of custom stainless steel exhausts with a family heritage in performance exhausts spanning over 40 years and now work closely with business brands and consumers to develop products that deliver quality, passion and excitement. Exhausts UK can make single custom stainless steel exhausts or large volume batches depending on your criteria. We are qualified to provide a full service from research and development of new performance exhaust systems through to production and delivery on any scale. Our factory also allows us to produce bespoke custom stainless steel exhausts for vehicles such as commercial vans, motor homes, campervans, plant machinery, quads and bikes, from patterns or technical drawings. Whatever your application, please contact us for further information. 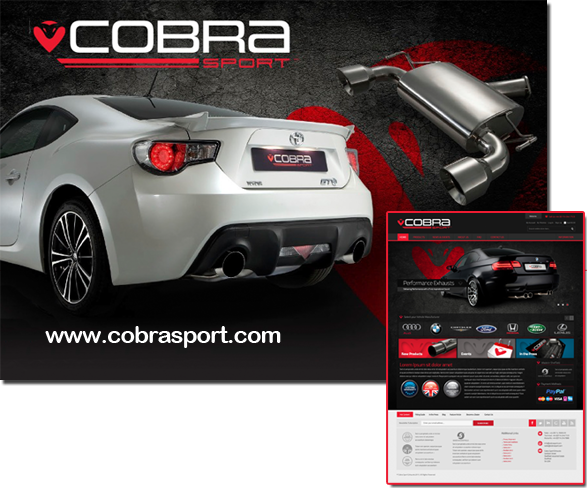 Exhausts UK's own range of direct fit aftermarket performance exhausts is called ‘Cobra Sport’ and consists of upgrade replacement cat back systems, rear boxes, manifolds, sports cats and catalytic converters for a huge range of vehicles. Exhaust UK exhausts systems come with a lifetime warranty for the original purchaser, giving you ultimate peace of mind. All Exhaust UK exhaust systems are manufactured here in the UK and we actively seek to support other UK manufacturers wherever possible. All Exhaust UK systems are manufactured from certified grade 304 stainless steel and TIG welded for a superior quality finish. Providing business support on how to streamline manufacturing processes, reduce waste and helping businesses grow.